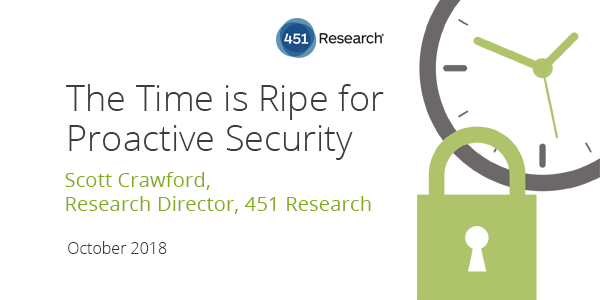 In this webinar, Scott Crawford from 451 Research, Mike Macintyre from Panaseer, and Rob Hyde from Schroders examine the real impact of failure to take a proactive approach to strategic preparation and protection, four key obstacles that keep organisations from succeeding in pursuing a fireproofing strategy – and how to overcome them, and what does it take to move towards a proactive security approach and the benefits and insight gained. Cyber attacks continue to wreak havoc. The result for many has been a tacit acknowledgement of this failure in the disproportionate spend on firefighting (monitoring, detection and response), when fireproofing – preparation and protection – may be the more strategic and economically sound investment.